Duck Shaped Mild Cheddar 4oz. Send a taste of Lodi, WI. 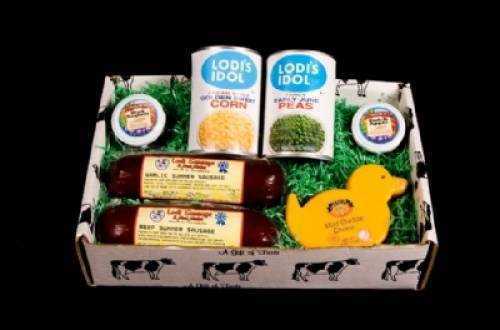 Susie the duck cheese, Slack's Jam, Lodi Idol Peas & Corn, plus our award winning Lodi Sausage.